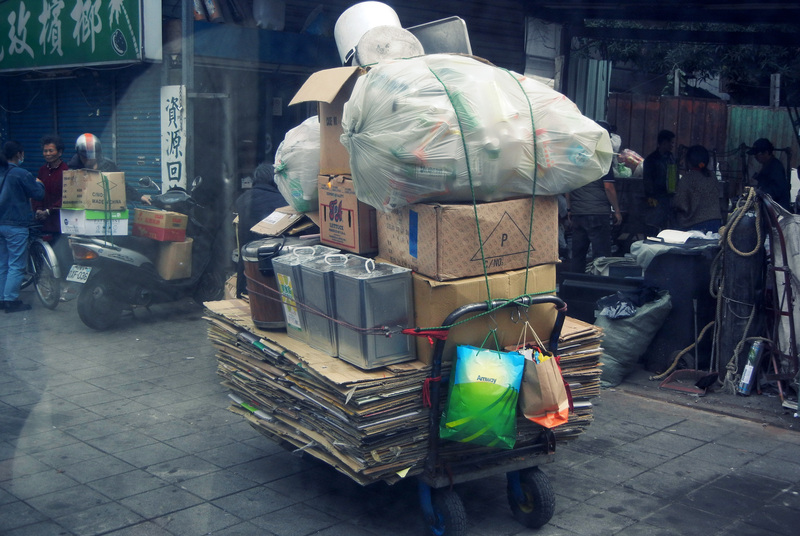 Taiwan is in the process of initiating a circular economy for waste management. The circular economy is an economic process which is focused on increasing resource efficiency and reducing environmental impact at every stage of the product and service lifecycle. One of the primary ways to achieve this is through recycling more general waste. In 2016, general waste generation amounted to nearly 26.5million tons. 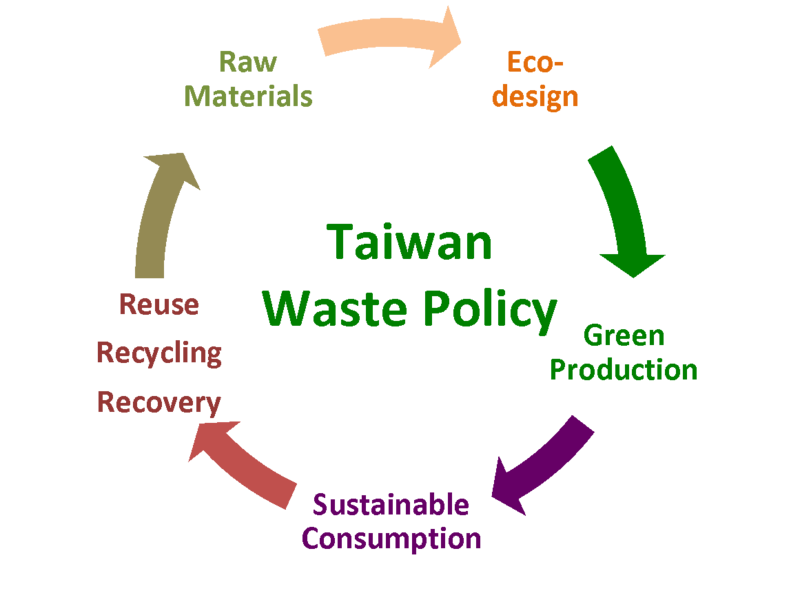 Presently, Taiwan has called for the recycling of Municipal Solid Waste (MSW) to be around 28 percent of that total (7.5 million tons). The development of a waste management policy is based on the 1988 principle of Extended Producer Responsibility (EPR) of manufacturers and retailers. Taiwan is also implementing the ‘4-in-1 recycling programme’ which has included government, manufacturers, consumers and licensed recycling enterprises, which are all managed by the board of the Recycling Fund. The annual budget for recycling is 200 million Euros per year, which is overseen by the Recycling Fund. Over the past few decades, the amendments made to the Waste Disposal Act has resulted in the development of a strategy for Taiwan’s recycling systems. There are more than 635 enterprises that are now involved in recycling, generating an additional 2 billion euros into the market in 2016. A key concern regarding Taiwan’s current recycling system is with regards to Taiwan’s recycling trajectory. This has been raised following the stagnating levels of recycling and waste generation (0.89 kg/day/cap) over the past three years, leading to the conclusion that it is very difficult to reduce waste generation based on the current waste management action plan. This implies that waste management policies and strategies need to be reviewed and promoted within an alternative framework. The United Nations has promoted the circular economy as a form of sustainable material management, based on the notion also of raising consumers’ awareness of recycling. Figure 1. Municipal solid waste (MSW) management: separation and recycling process of MSW (top), incinerated ash, (bottom right and middle), and organic waste compost (bottom left). Over the past few decades, the amendments made to the Waste Disposal Act has resulted in the development of a strategy for Taiwan’s recycling systems. There are more than 635 enterprises that are now involved in recycling, generating an additional 2 billion euros into the market in 2016. Based on these promising results, we are able to begin conceptualising a road map to a circular economy for waste management policy in Taiwan. The framework for a new waste management policy is comprised of five major components: sustainable consumption and production, increased resource efficiency, promoted consumer benefits, sustainable management of materials, and waste to energy generation. Among these, reduced use of plastics, plastic recycling, MSW incineration management, e-waste recycling, and waste to energy projects are areas that have significantly improved in the past 10 years. Figure 1 shows the separation and recycling process of MSW. The recycled material from MSW has been used as secondary raw materials in manufacturing new products. The incinerated ash at the bottom of the fugue is mostly used as the controlled low strength material (CLSM) for non-structural backfill or road bases. And the organic waste after composting has produced organic fertilizer used for agricultural purposes. The recycling industry has been estimated at generating a revenue worth approximately 35 billion NT to the economy, after deducting the installation costs in 2015. The notion of a ‘cradle to cradle’ policy is what underpins this waste management framework, as demonstrated in figure 2, which is working towards a zero waste promotion programme for Taiwan. Figure 2. A zero waste promotion programme for Taiwan. There have been a number of concerns surrounding this process to date, including incidents of ash being illegally dumped, raising concerns of the health, environmental and reliability of the recycling processes. 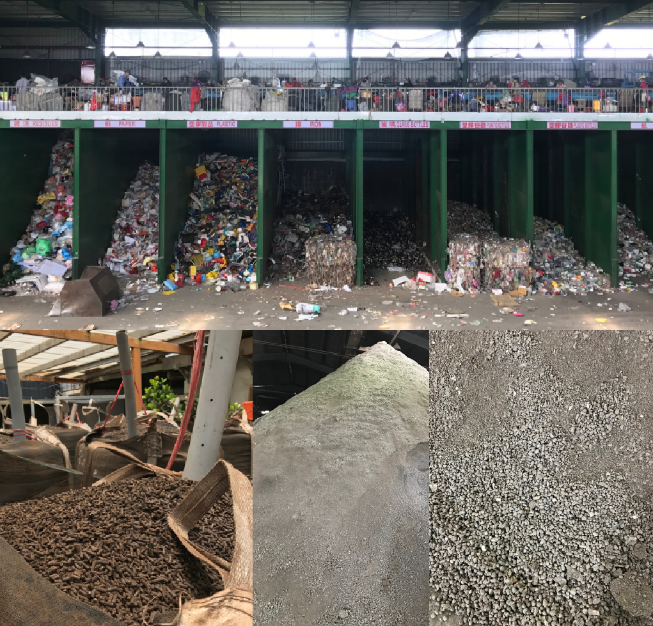 There is therefore a need to review the current recycling policy and strategy for the management of recycled ash, which will help mitigate any concerns people may have over the environment and health and safety of ash and other non-structural construction materials in the recycling processes. The Taiwanese government’s proposed roadmap includes increasing education of resource management, innovative eco-designs, new technological applications, and environmental governance. 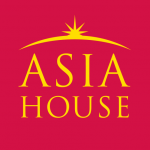 The roadmap should focus on the areas of resource extraction, industry manufacturing, transportation, products and services, distribution (markets), and consumers. The biggest challenge in achieving a circular economy in Taiwan is how to develop a system, which captures all the information on the flows of materials/goods, the consumption cycle, and the logistics within the circular economy. The first step is a proposed 10-year action plan, which will help form the link which connects policy makers, businesses, enterprises, universities, research institutes, consumers and citizens all together in the circular economy. This is a big step for Taiwan, and requires a huge amount of collaboration and diligence for it to succeed.